As the GAN Dust Settles: What’s Next? 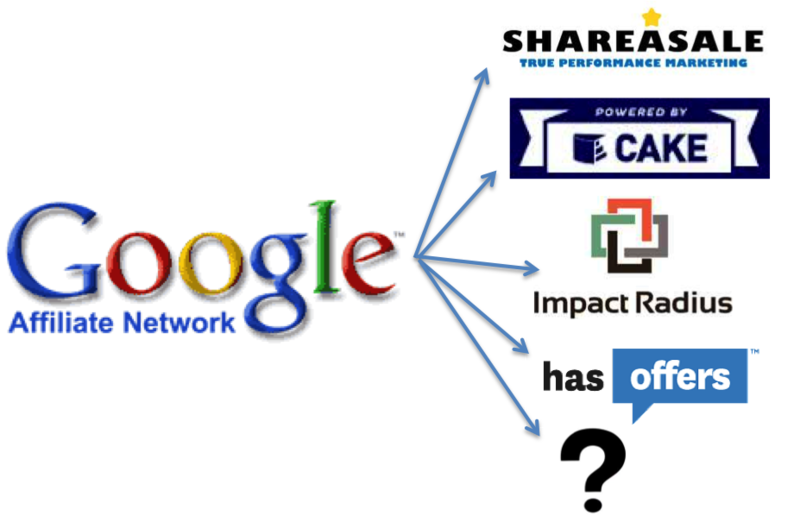 The news that Google is suddenly shutting down the Google Affiliate Network (GAN) came as a shock to many in the performance marketing industry. GAN, which was formerly known as Performics and inherited via Google’s acquisition of DoubleClick in 2007, had not been in growth mode for a while. However, it was tightly integrated with Google’s advertising technology platform and was certainly a viable business that did not need to be closed down for performance reasons alone. 1. Customer service and high-touch relationships are not Google’s forte. Affiliate marketing is a service-intensive business that requires strong personal relationships, and Google is not a people business, it’s a technology business. Because clients required one-on-one contact, Google likely saw managing them as an inefficient process. 2. Google’s core business model is cost-per-click (CPC) advertising, but GAN was a cost-per-action (CPA) business. CPA is a harder way to make money since advertisers only pay on the sale, not just for the click. 3. GAN created conflicts with other Google businesses lines, which caused some headaches and awkwardness in the affiliate world. SEO updates like Penguin and Panda, and the expansion of Product Listing Ads, severely impacted many affiliates. Google also permits PPC trademark bidding, which allows ‘less ethical’ affiliates to assume a brand’s identity in paid search, ultimately turning a cheap click for a merchant into a more expensive commissionable sale that also drives up their own branded PPC costs. Combine the above factors with a few notable tracking issues related to GAN affiliate links in other Google products such as Gmail and Chrome, and it was likely an easy decision to remove GAN from the product mix. While on the surface these changes may seem like a good thing for the rest of the affiliate marketing industry, when the dust settles there may be some concerns. What I can sense from talking to industry insiders is a fear that now that Google has removed its self-inflicted conflicting business model, it could choose to make life hard for affiliate marketers in an effort to drive more advertising business to its own products. There has been prior chatter about blocking third-party cookies in Chrome, which would be devastating for affiliate marketers as sales could not be properly tracked. And while a move like this would likely face anti-trust scrutiny, the impacts will reverberate as affiliate marketers wait to see how Google behaves in the post GAN world. And so, uncertainty abounds. Former GAN customers must now navigate the feeding frenzy as other industry networks, agencies and tool vendors vie for their newly available business. We’ve been offering free program audits and strategic advice to companies who are trying to figure out what to do with their affiliate program. One interesting thing we have heard is that the newer and up-and-coming networks and tracking platforms are being very aggressive with pricing and contracts in courting the GAN business, while some of the more traditional networks are being heavy-handed, because they believe large GAN customers don’t have many options. GAN clients are in for a bit of a learning curve when it comes to working with the larger affiliate networks in terms of pricing, services and contracts. GAN’s contract terms were very flexible and negotiable, while the larger networks tend to have more stringent and fee loaded contracts with minimums and guarantees that they will enforce with a heavy hand, even when clients are unhappy. Conversely, smaller networks and emerging tracking platforms such as ShareASale, Cake Marketing, Impact Radius and Has Offers appear to be taking a more aggressive approach with their pricing. These firms have also de-coupled program management from tracking, offering a low cost or fixed-fee solution for managing large affiliate relationships that have traditionally been the bread and butter of the networks performance-based business model. The economic picture of what a de-coupled program looks like is turning some heads, especially because merchants who are about to move affiliates to a new network are rightfully questioning why they should pay a hefty performance fee for those pre-existing relationships. Expect to see some major and surprising wins from this group. As GAN customers are forced to make this move, many are taking it as an opportunity to revisit their program in whole, from management to payouts and fees. It will be interesting to see how former GAN customers decide between the high cost, integrated management model offered by the big players, and the more agile, single service offerings. I’d love to see those who are being innovative with their products and services be rewarded for their efforts and less of the business as usual which has pervaded for too long.